Tarun Gupta April 8th, 2015 Email Marketing 5 comments. I don't know any other sure-shot way than e-mail marketing if I need to reach millions of my buyers at once. Whether it's a big business house or an eventually new startup, e-mail marketing suits both of them. Don't underestimate this awesome mode of communication. Alike other marketing methods, email marketing too requires strategy and planning. Otherwise, your campaign may backfire. Whether you 're already running a campaign or planing to throw one, there are mistakes that you must avoid. This may be the illustration of term spamming. You may boast on a huge list of potential buyers you have but I'm sure you don't have permissions to email all of them. Sending unsolicited mail aren't only deemed spamming but also may invite legal trouble if goes overboard. Though, quite tough to get permission from every recipient on your list, avoid bulk mailing to them. There are multiple ways of collecting an email list comprising people who are subscribed promotional mails. This is the best way to add people into your email list. People frequently visit your site for various purposes. Offer them a way to subscribe your email list. If they do so, you will have a list of recipients who won't mind seeing your mail in their Inbox. Now, there's the catch. Don't rely on a single subscription form on somewhere on your homepage. What if your reader is on your blog post and wants to subscribe? Make sure they needn't to search for subscribe box but have one everywhere they go. Put it in the sidebar, Below a blog post or after your content, on top of your page in the header area or on a floating bar. Once you have the list, it's time to click the send button. But before finally sending, segregate them. By segmenting the list, you will have better control over the recipients who will receive your mail. This will give you better results in terms of lower unsubscribe rates, higher engagement and more sales. There are ways in which you can segment your list. Most of the campaigns are run using rented or purchased email list after full-fledged e-mail validation. This is quite dangerous in the long run. It's always convenient to buy a list of 1000 people and shoot a mail to them. Though, sounds attractive and done in less effort, it has two limitations that at least I know. One : When you purchase e-mail list, your recipients hardly have an idea who you are. Thus, they throw your mails in the trash as you are unknown to them. Two: A seller likely sells the same list to other buyers too. Means, the same list has already been bought and used by other businesses also. There are good chances of of your mails to get rejected being unwanted and repetitive. If your e-mail template doesn't offer value addition to your users, your campaign will be a big flop. Having a huge email list is all good but keep your mailer content engaging is also crucial. Spend some time on your template to draft mail content that engages your readers. Work on the subject line, headings, body content and call-to -action to get more out of your campaign. 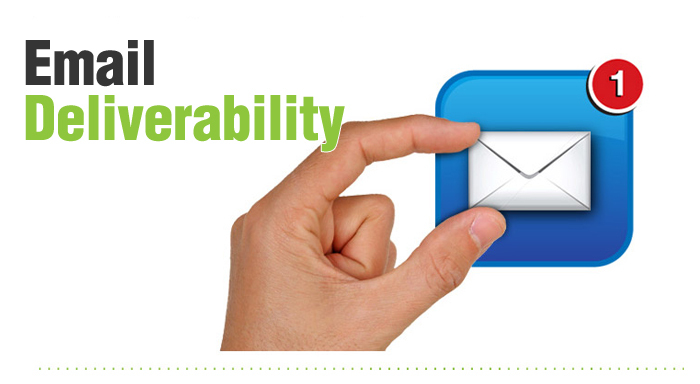 -Why E-Mail Campaigns Failed To Get Recipients. These are the most common problems…while there can be other technical issues on the email infrastructure level, that can create bigger problems. I think once you know why you’re sending the email and who are the recipients / target market, you’ll be able to send the message to the right people. Moreover, I believe that a campaign tastes success only if it targets the right message to the right people on the right time..
next email correspondence even more relevant to their needs.